Jill R. Ginsberg, Esquire, a Board Certified Elder Law Attorney, specializes in Guardianship, Estate/Trust, Tax, and Probate. She graduated Dean’s List from the Franklin and Marshall College with a B.A. in Business Administration and Accounting, and from Brooklyn Law School with honors as a member of the Moot Court Honor Society. Ms. Ginsberg’s previous employment history includes several of the Big 4 (CPA) accounting firms as a Senior Tax Manager and Director of Estate and Financial Planning, as well as a Tax/Estate Planning Partner in two well-known law firms. 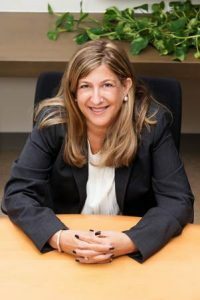 A former championship debater, Ms. Ginsberg often lectures and writes on Estate Planning, Probate, Guardianship, Charitable Giving and related issues. She is the recipient of several community awards and active on the boards of several charitable and civic organizations, including Meals on Wheels South Florida, Humane Society of Broward County, Memorial Hospital and the Broward Jewish Federation. Ms. Ginsberg also serves on the Executive Counsel of the Elder Law Section of the Florida Bar. Ms. Ginsberg is currently the senior partner at Ginsberg Shulman PL with offices in Ft. Lauderdale and Boca Raton, Florida. She lives in Hollywood with her partner, David Kaplan, and her rescue dogs, Teddy and Jeffrey.